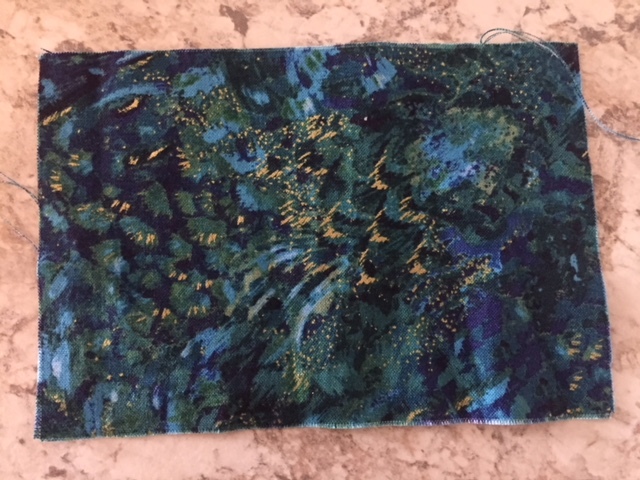 I'm looking for some of this fabric to buy online. It is Northcott, Artisan Spirit, Blue Lagoon Shimmer. I can't find it anywhere to buy by the yard, other than places outside the US, and I'm not comfortable using foreign currencies and measurements. If anyone can help with a link I'd be so grateful!! My LQS has a A/S dark blue shimmer, but not Lagoon. The picture looks blue, not mixed like yours. Do you have more info that might pinpoint exactly which of the prints it is? I can check our local quilt shop for you. I will check at our local shop tomorrow. How much do you need? go to Northcott's website and pull up the fabric and they click on where to find it--they have that feature and it's very helpful. They have several blue lagoon shimmer, not sure which is the match to what you are looking for. If all else fails, call or contact Fabric Depot, Portland, Or., their 'finder' department is very good at finding fabric you want. You must order 5 yards of it, but they have found several different pieces for me. Worth the expense to find what I wanted. You must be looking for Northcott, Artisan Spirit, Blue Lagoon Shimmer flight of fancy. The flight of fancy is much harder to find. If you are desperate, you might consider ordering outside of USA. I have several times and never had a problem. Thank you so much for the offer...I was just now able to find what I was looking for online. Have a great day! Thanks so much everyone....I found it!!! Did you google it? I got more than 16,000 hits when I did. I typed in: Fabric: Northcott, Artisan Spirit, Blue Lagoon Shimmer. Hope it'll help. Try quiltshops.com They have over 200 shops that are available to search. Just use their search engine and ask for shop links. Thanks, I did finally find it ! I am so glad you found it! I love a happy ending to a story. Ggoogle the name of the fabric and it will tell you where it is available.